Om Mey stands at the doorway of her school on the lake in Kampong Chhnang, waiting for her teacher, who is often absent. Photo by Kalyanee Mam. The third pillar of the institute will be a school. Cambodian and international high school and university students will be able to take courses on Khmer Rouge history, genocide studies, and human rights. The school will also contain a library and offices for students and scholars. 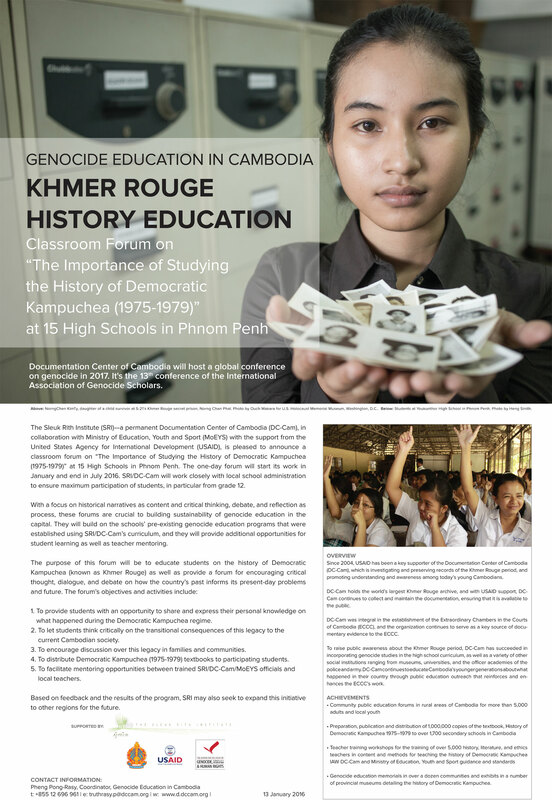 An Academic Program - We are working with local and international experts in law, history, anthropology, political science, and other fields to design a new curriculum for genocide studies and human rights in Cambodia. 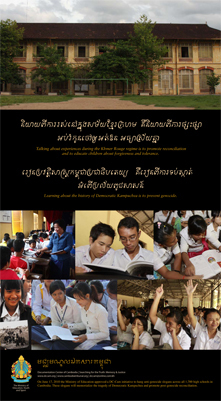 We have strong ties to numerous Cambodian universities, such as the Royal University of Phnom Penh; the Faculties of Law, History, Anthropology, Archeology, and Foreign Language; and international universities such as Yale, Harvard, Rutgers, Michigan, Hong Kong, Concordia, and Coventry. A State-of-the-Art Library - A multi-level library will provide students and researchers space for study and research. The library will have desks and computer stations for researchers, audio/visual rooms, and a helpful staff of experts to direct researchers to appropriate materials. We will also have a document storage area for our many sensitive and aging documentary materials. Web: Nathan Walkers | Techinical/Graphic: Morm Sophat | Arts work: Youk Chhang | Khmer Section: Phuong Chanpranith © Sleuk Rith (2013).